Award winning books added to our collection this spring. In celebrating National School Library Month, we would like to recognize Ripon College Education Department in helping to develop our future teachers. Libraries are vital resources to educators, and these current education students will be the future leaders in engaging children in reading, both for learning and pleasure. Our education department ensures that our library's juvenile collection stays up to date with the latest award winning books for the students. It has been a busy month with new books, and we added a wide variety of new juvenile fiction. 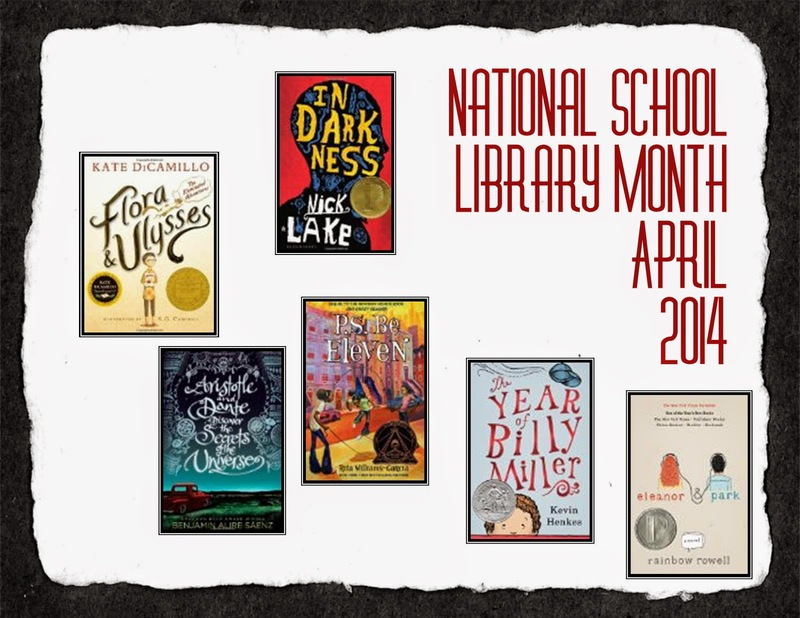 This includes the Newbery winner, Flora and Ulysses and some of the Newbery honor books (Year of Billy Miller). The Printz (In Darkness), Orbis Pictus (Splash of Red), and Corretta Scott King Award (P.S. Be Eleven) winners and a few select nominees have also been added. You can search the catalog for past winners by searching for the award, such as "Newbery Honor Books." To keep in touch with all of our new books, please look through the new books listed on the Lane Library Catalog home page. http://catalog.ripon.bywatersolutions.com/ This is updated daily when any new books are added to the collection. It is a fantastic way to do some old-school browsing of new books.